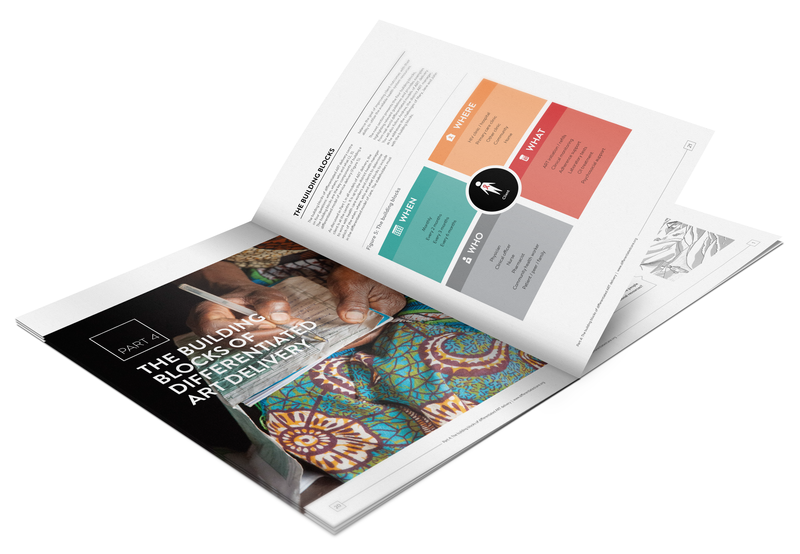 The International AIDS Society commissioned us to do a report on the Decision Framework for antiretroviral therapy delivery. 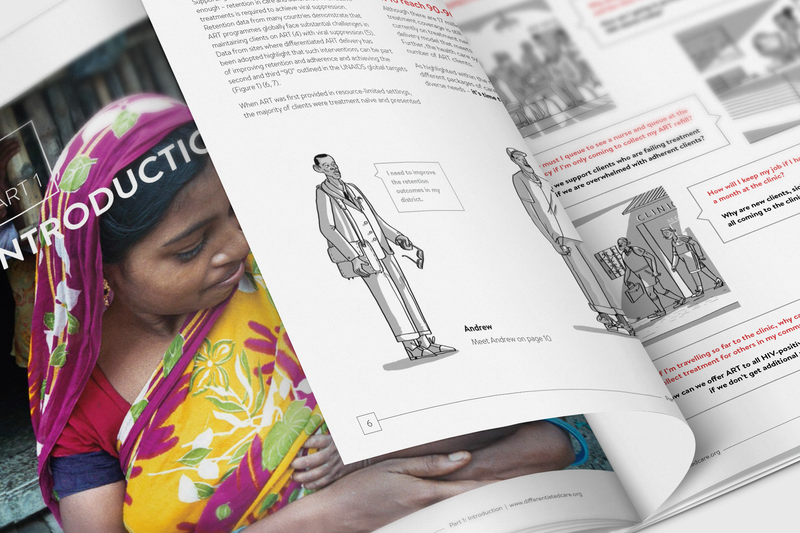 The request was to include illustrations to demonstrate the story/journey of antiretroviral delivery. The report is a set of recommendations to Departments of Health on how to streamline their HIV treatment programmes. It aims to put the patient first – making treatment as easy as possible for patient and healthcare workers (doctors, nurses and clinic managers). It has been modelled in a South African setting, but can be implemented anywhere in the world. 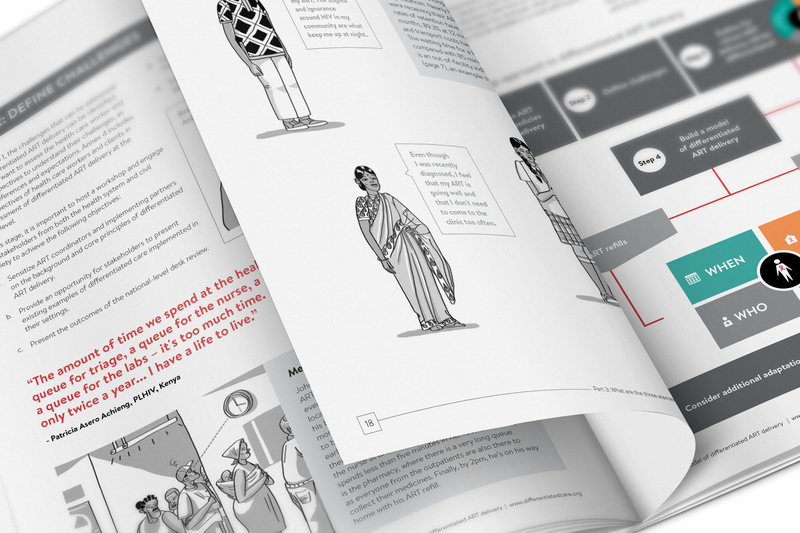 The illustration style had to be accessible but not childlike, and needed to reflect the South African public health context from clothing to buildings to ethnicity. 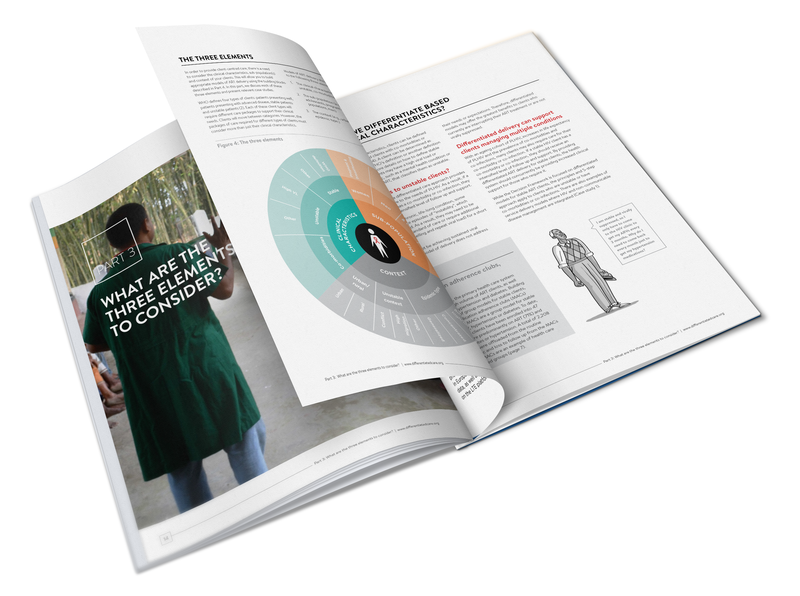 The focus of the work in the report is of being fundamentally client-centred. 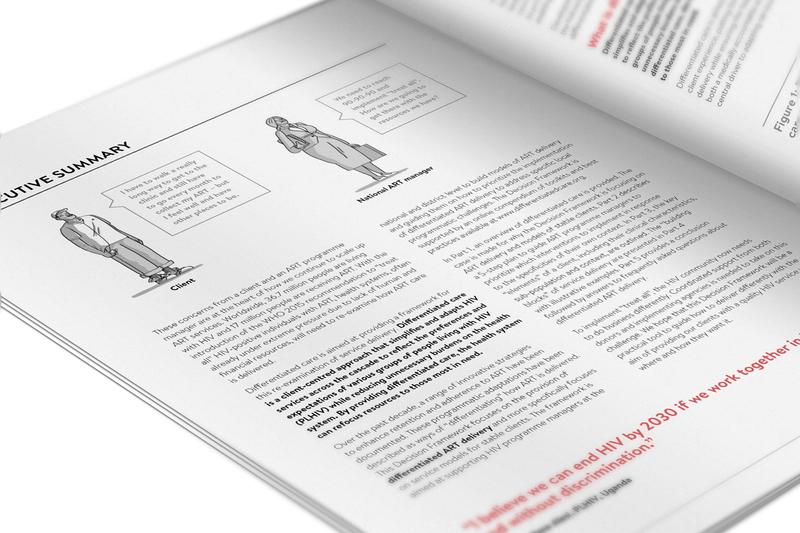 We loved working alongside Jon to create the perfect illustrations that compliment the work, and the tone which was set through the content provided.